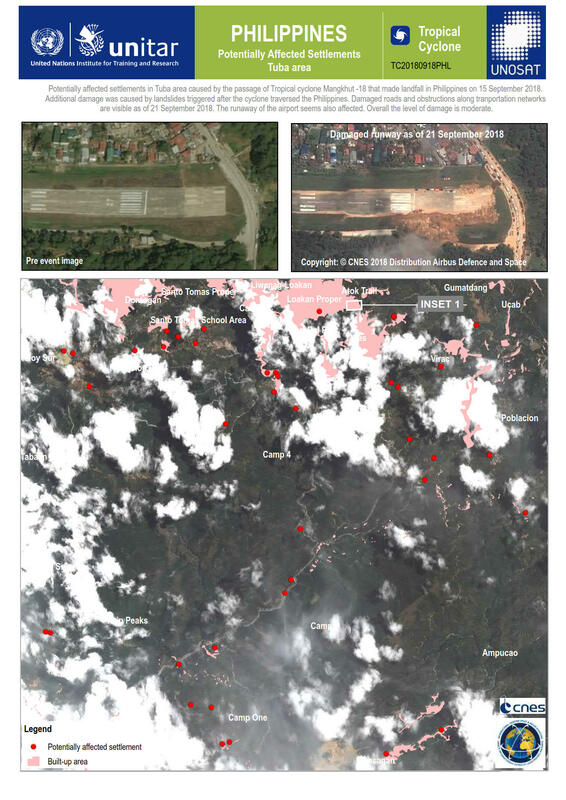 Potentially affected settlements in Tuba area caused by the passage of Tropical cyclone Mangkhut -18 that made landfall in Philippines on 15 September 2018. Additional damage was caused by landslides triggered after the cyclone traversed the Philippines. Damaged roads and obstructions along transportation networks are visible as of 21 September 2018. The runaway of the airport seems also affected. Overall the level of damage is moderate. This is a preliminary analysis and has not yet been validated in the field. Please send ground feedback to UNITAR - UNOSAT.